‘With the faith in God, I always said my son will be born there [in the United States] because he will be born there,’ Serrano-Hernandez told Univision. […]Serrano-Hernandez and her family started their journey to America in mid-October when the first wave of the massive caravan set out from Honduras and lingered in Guatemala before the Mexican government caved in and let scores of Central American migrants walk through its southern border. She was already heavily pregnant at this point. 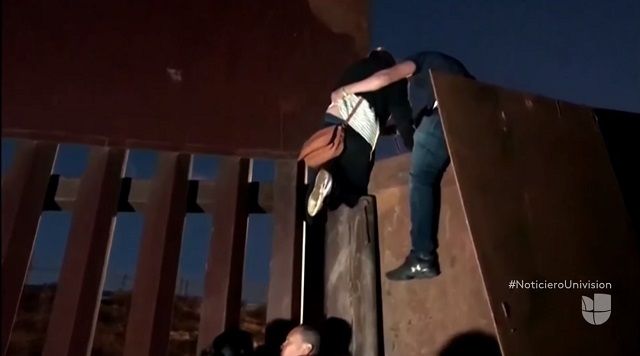 […]Last week, Ortiz and his pregnant wife decided it was the perfect time to climb the border wall. Ortiz, who is wearing an ankle monitor, recalled the agents asked them to return back to Tijuana but he and his wife declined the immigration officers’ request, turning themselves in.